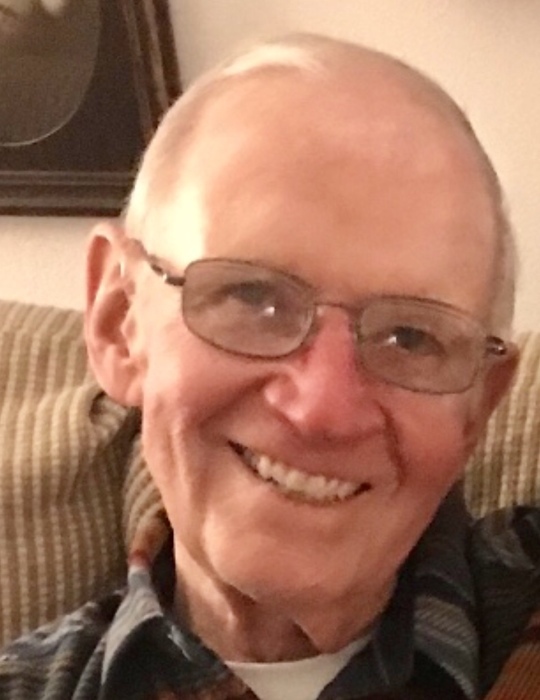 Raymond H. Roth, age 81 of Neenah, passed away unexpectedly due to an aortic aneurysm on Monday, March 18, 2019. Ray was born on November 21, 1937 son of the late Joseph and Anna (Griesbach) Roth. Ray was a proud graduate of St. Mary Central Menasha. He was on every reunion committee and inducted to the Hall of Fame for Football and Basketball. He later earned a business degree from St. Norbert College. Ray and family were active members at St. Patricks in Menasha, where he married the love of his life, Joan Sauer, 58 years ago, based off a New Year’s Eve kiss. They later became members of St. Margaret Mary Parish. Ray loved his country, serving six years starting with ROTC becoming a 1st Lieutenant at Fort Ord, CA, where he and Joan started their life together. They further lived in Chicago and Alabama, before returning home to family. Ray was greatly respected for all his devotion at Menasha Corporation as their first Corporate Credit and Risk Manager. He retired early when his wife was diagnosed with cancer as a promise to make the most of life. That he did! Ray’s lasting legacy is his devotion to family, it meant everything to him. He planned vacations every summer and winter for his growing family of 17. Whether it was coaching or as a spectator- he was the number one fan on the sidelines, no matter the sport, no matter the location. He was the organizer of weekly golf outings with his 2 brothers and their wives. And he was a lover of dogs, always having one at his side. Ray is survived by his wife Joan, children: Robert (Trisha) Roth, Michelle (Sean) Perry, and Michael (Jennifer) Roth; grandchildren: Kelly, Lauren and Grace Roth, Mackinsey, Annabelle Ray and Charlie Perry, Kaylin, Shelby and Hudson Roth. He is further survived by 3 sisters: Ruth Wittemann, Renee Malcheski, and Rosie Plass; 2 brothers: Joe (Joanne) and Gary (Dianne); 3 brothers-in-law: Robert (Peg), Paul and Randy Sauer; 5 sisters-in-law: Betty Angell, Beverly Schneider, Susan Tews, Diane (Reuben) Folske, Kathy (Ron) Bucholtz, and many loving nieces and nephews. Ray was preceded in death by a brother, Richard and a brother-in-law, Don (Shelley). Funeral services will be held at 11:00 a.m. on Saturday, March 23, 2019 at St. Margaret Mary Catholic Church, 620 Division St., Neenah with Fr. Dennis Bergsbaken officiation. Visitation will be held at the church from 9:00 a.m. until the time of services. In lieu of flowers, a memorial is being established for his grandchildren’s education fund- the most dear to his heart. In lieu of flowers, a memorial is established for his grandchildren’s education fund- the most dear to his heart: Ray Roth (Papa’s) Memorial Fund. Ray’s family would like to especially thank Laura Tucker, who was his VA nurse for years. They would also like to thank everyone who loved him and his family, it was greatly felt.